Joachim Köhler & Why Wagner Did Not Cause The Holocaust. "The nature of this task was certainly not to pursue a set of political aims, that is, to arrange the political and social realities of the time in the interests of the nation whose Chancellor he was. 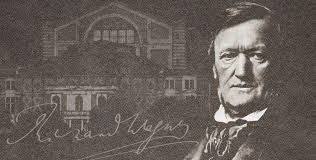 Reality meant for him the task of transforming the world into a Wagnerian drama..."
Richard Wagner's Der Ring des Nibelungen Medieval, Pagan, Modern. Originally published in: Relegere: Studies in Religion and Reception 3, no. 2 (2013): 329—52. 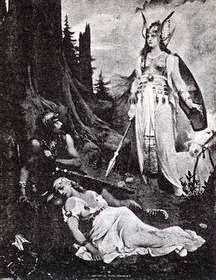 Richard Wagner's Der Ring des Nibelungen is a Romantic work that draws on medieval narrative and thematic elements (e.g., the Poetic Edda, the Volsunga Saga, and the Nibelungenlied). Wagner's cycle is a polyvalent work of art and can be interpreted as exemplifying both secularisation, as the gods of Valhalla give way to humanity, and re-enchantment, in that its performance allows the gods of Germanic myth to "live" on stage. 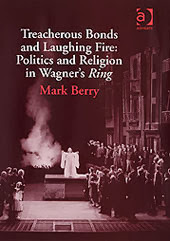 This article addresses the issue of reception by looking at Wagner's medievalism, the modern Heathenry movement and its use of the Pagan past as a source of legitimation, and finally by examining attendance of performances of the Ring as a significant secular ritual activity that engages with Pagan gods and brings them to modern audiences, Heathen and otherwise. In some respects Wagner’s “medieval” practice has been well documented. Deryck Cooke offered a famously sensitive and detailed exploration of the literary and scholarly sources of the Ring in I Saw the World End. 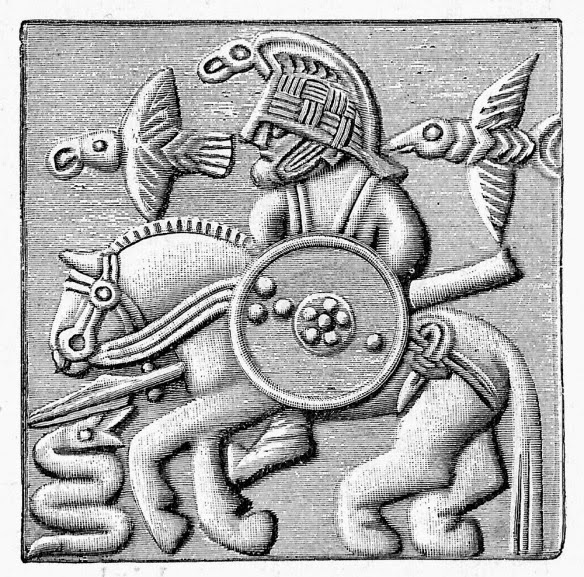 His findings on the central importance of the Poetic Edda to Wagner’s poems for the cycle have more recently been amplified by the literary scholar Stanley Hauer, who draws out in more detail Wagner’s metrical and lexical debt to the Scandinavian sources and his use of punning names.As a study of the origins of the libretto and of Wagner’s synthesis of narrative elements, Cooke’s chapter remains useful. But in focusing exclusively on details of plot and (to a much more limited extent) of verse forms, both Cooke and Hauer miss the remarkable – indeed arguably unique – underlying structural principle of medieval narrative: the interlace structure. It is this important but “hidden” detail of medieval prose and poetic narratives that, translated into musical terms, constitutes perhaps Wagner’s most fruitful contribution to the history of music. 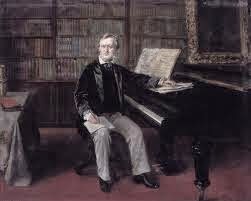 Cooke and Hauer demonstrate the high level of Wagner’s scholarly involvement and establish the realistic possibility that, while finding ways to shape his sources’ narratives to suit his dramatic ends, Wagner also replicated certain aspects of his sources’ structure in his musical language. The sources in question are both literary and scholarly. The literary texts are the Middle High German Nibelungenlied, the German-inspired (but Old Norse)Þiðreks saga, and the Old Norse Poetic Edda, Prose Edda, and Völsunga saga. The scholarly studies Wagner owned and read include Karl Lachmann’s thesis on theNibelungenlied (“Habilitationsschrift” über die ursprungliche Gestalt des Gedichts von der Nibelungen Noth), which more or less founded strictly philological research into the lay, and works by the Grimm brothers (Wilhelm Grimm, Die deutsche Heldensage and Jakob Grimm, Deutsche Mythologie). The Nibelungenlied (ca. 1200) came late in the day for tales of a broadly comparable sort, even discounting the very ancient epic poetic or prose narratives (Iliad and Odyssey and the Indian Mahabharata); the Old English Beowulf (possibly twelfth century, though there is doubt) and Welsh Mabinogion (before AD 1000) still predate it. The extent of theNibelungenlied-poet’s knowledge of earlier Scandinavian archetypes is unknown, but Cooke suggests that the poem was to some extent an amalgam of earlier lays. For present purposes it does not matter whether the Nibelungenlied-poet knew the earlier sources; the poem’s style, particularly in relation to other medieval narratives, is what matters, because it was the style more than the detail of the literary hinterland that would manifest itself in Wagner’s stage works. A surprisingly well written and "easy to read" Doctoral thesis from Dr David Bret Smithey. Introduction is reprinted here while the full 58 pages can be downloaded or read by following the link below. David Bret Smithey Florida State University. The purpose of this paper is to explore the conflict between power, politics and family relationships in Richard Wagner's Der RingdesNibelungen. Selected familial relationships between characters will be analyzed using various methods, including Jungian analysis, comparative mythology and musical analysis. The project will attempt to show that interpretations of the Ring have not given enough attention to the tension and paradoxes inherent in family relationships in Wagner's tetralogy and will provide for a more human understanding of the cycle. "Axe-time, sword-time, shields are sundered, wind-time, wolf-time, ere the world falls." This quote from the Icelandic Edda, the source poetry for much of Teutonic myth, describes accurately the aura of great events that surround Richard Wagner's Der Ring des Nibelungen. Richard Wagner had a great belief in the power of myth. He believed that myth was timeless and the conflicts that myth highlighted would be applicable to any age or situation. Part of what makes myth attractive to those who wish to interpret their own times is in the inherent flexibility of myth. 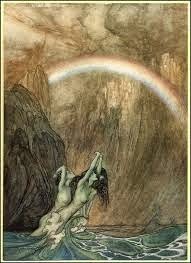 The most obvious difficulty in pursuing research about Der Ring des Nibelungen is the sheer size of the work itself. The four operas span sixteen to seventeen hours of stage time, and historically the writing of the work took up the larger part of Wagner's professional life. To facilitate understanding I suggest reading one of the published synopses of the Ring. Wagner wrote the poem Siegfried's Tod (what we now think of as Gotterddmmerung) first and expanded the poem backwards to create the other three operas. The music, in contrast, was written in performance order. This fact makes the identification of style and period more difficult than in other composers' works. Although it is difficult to take on such a large subject in such a short format, it is necessary. Richard Wagner believed in changing the world of art by incorporating all of the art forms into the music drama equally. This combining all of the art forms is called Gesamtkunstwerk. To discuss Wagner's work requires a breadth of inquiry from art to politics, and from myth to philosophy. He sought to create a new myth for the modern man. Much of the scholarship devoted to Wagner's Der Ring des Nibelungen has focused on political interpretations. It is easy to see why socio-political criticism has taken center stage in our attempts to understand Wagner's epic. 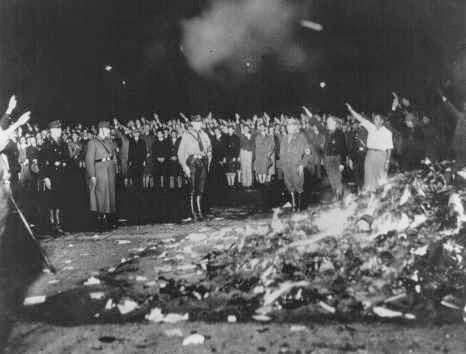 Wagner himself was very active politically, both by means of the pen and in person, as in the aborted Dresden revolution. In Saxony in the year 1849 there was a violent uprising against the government that called for greater personal freedoms and a unified German state. Wagner played an active role, and after the rebellion was crushed, he had to flee to Switzerland. When Seattle Opera first began presenting Wagner's RING, in the mid-1970s, the cycle was done twice each summer--once in the original German, once in Andrew Porter's English singing translation. Recordings survive of some of those original cycles, thanks to KUOW, who broadcast the English-language performances for several years. Enjoy these excerpts showcasing the voices of Seattle Opera's first generation of Wagner stars. Wagner-lovers of the world, rejoice! 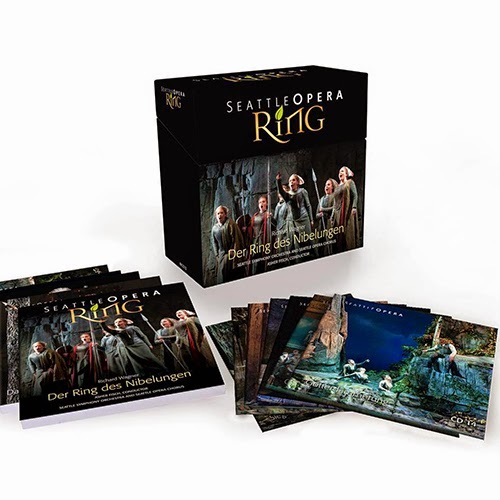 We’re giddy with excitement to announce Seattle Opera’s first-ever live audio recording: our fantastic Der Ring des Nibelungen from last summer. Everyone seems to agree that our 2013 Ring was one for the history books. General Director Speight Jenkins (who steps down this August after three decades at his post) felt the production was some of the company's best work. “By every measure: voices, orchestra, drama, audience excitement, I truly feel that the 2013 production was the bestRing I produced in my 31 years with the company," he said. Christine Goerke , and others, discuss COC's up and coming January 2015 revival of Atom Egoyan's Walkure. 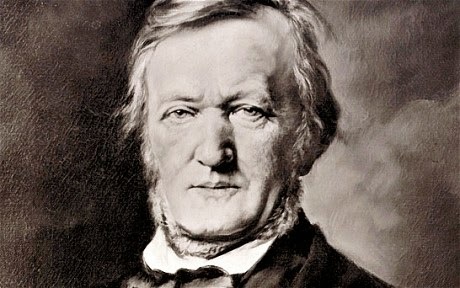 Originally published at the Wagner blog "Sacrifice" where much more Wagner related analysis and thoughts can be found. Reprinted here with the kind permission of the author. 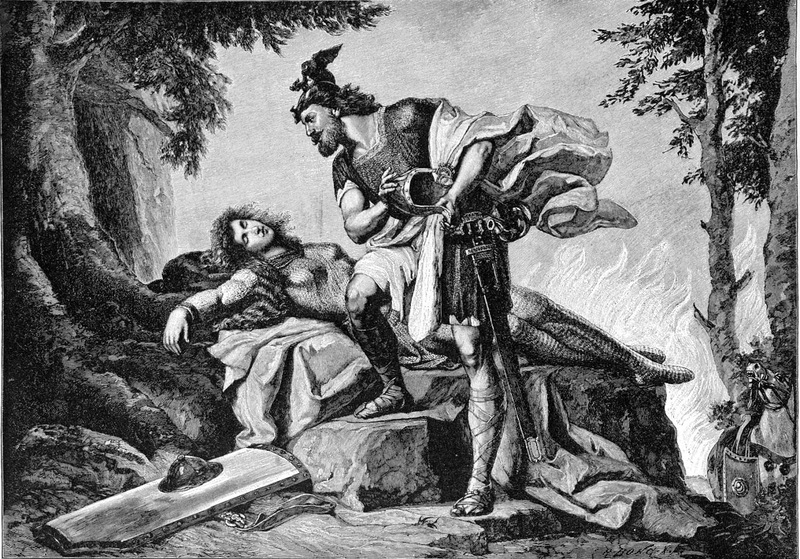 Most serious Wagnerians know that the germinal seed for what became The Ring was the story Wagner called The Death of Siegfried. After laboring for months over the story, Wagner realized that in order for Siegfried’s Tod to do justice to his inspiration, the opera would be overburdened with narratives needed to supply necessary background. Therefore, he decided to expand the original concept with what we now call a prequel. The working title for this opera was (Das) Junge Siegfried. Ernest Newman in The Wagner Operas provides a far better history of the prolonged adding to the original idea as it became four operas than I can give here (see pages 420 – 450. First American Edition). The battle, at least of words, continues in New York over proposed cuts of 26% to the salaries of the MET Orchestra and Chorus. But this time not between Orchestra and Gelb but the Orchestra V The New York Times. "...both sides should compromise on real cuts. For the unions, this means accepting changes in benefits and work rules. Management will have to cut salaries and expenses just as rigorously." "...average earnings for the chorus and orchestra running about $200,000 a year." "16 weeks off with pay". However, the MET Orchestra has responded that these figures are neither accurate or reflective of reality (It should be noted that in the MET Orchestra's recent report they note a salary of around $164, 000 ("Furthermore, the actual proposals with which we have been presented reflect a cut in our annual earnings of between $41,000 to $62,000 (25.2% to a worse-case scenario of 37.55%. See here). Their response is" below. NEW YORK, NY—Monday, June 23, 2014—The MET Orchestra Musicians and Local 802, American Federation of Musicians, are deeply concerned about the future of the Metropolitan Opera. Peter Gelb insists on citing an average salary number for musicians that has not been substantiated. The musicians and their legal team have been asking for months for the Met to provide figures showing where they are getting this average salary number, as well as the amount of stated benefits, but the Met has not provided it. We do not know if the Met provided proof to the Times, and we respectfully request that any press covering these matters ask Gelb for documentation to support this disputed figure. Furthermore, we ask that the press consider citing the median salary for the musicians, as this would more accurately represent what most musicians at the Met are paid – if you can get the data from management! It is true, as the New York Times states, that The Met cannot continue on its present fiscal course. However, it is relevant to note that over Gelb's tenure the cost of musician labor has risen only modestly (slightly above inflation), while the non-labor budget increased by 50% ($105 Million). 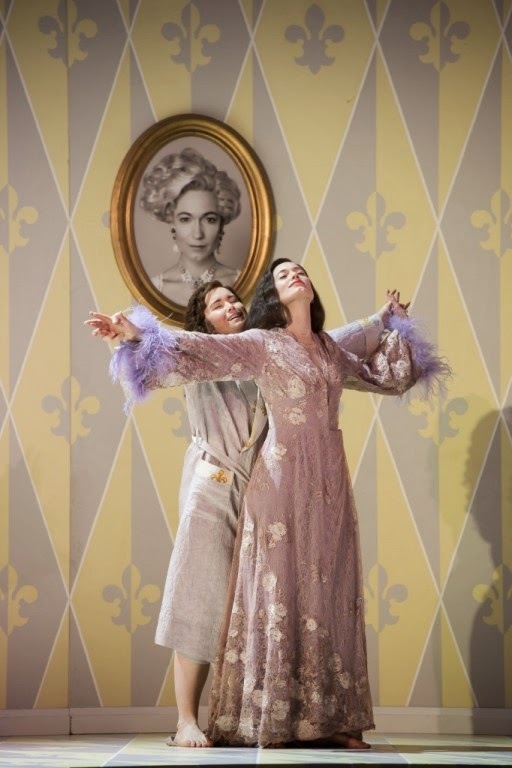 As the musicians pointed out in their report to the Met Opera Board the revivals of Peter Gelb's new productions, which have sold dismally, are pulling revenues down. In fact, when other opera houses around the world are thriving, there has been a 13% drop at the Met box office on Peter Gelb’s watch. Given that last year the Met reported a $2.8 Million dollar deficit why does Gelb claim he needs $30 million in cuts (16%) to performers who are already being paid less than musicians in several other U.S. orchestras, in some cases in absolute dollars or, when calculating the cost-of-living to compensation ratio, less than their counterparts at most peer orchestras? Also, importantly, research conducted by the Orchestra indicates that the various cuts that Gelb has proposed actually constitute a reduction in compensation much greater than 16%, but in fact would constitute a 25-37% reduction in compensation. Peter Gelb has made a number of odd decisions over the last few years but surely none can be as dangerous to the arts and to freedom of expression, while also an insult to the intelligence of those opera lovers that view opera at the cinema (and one assumes DVD) and a direct insult to Europeans; as his cancellation of the live relays of Adams and Goodman's (the latter of whom is of course Jewish) 'The Death of Klinghoffer'. Of course, the work in question has not been without "controversy" since its premiere. The accusation that it is somehow "antisemitic" is an old and much disputed one (for the record I consider to not be so - for whatever that is worth. And while trying to present a complex argument that is not as simple as many would like to pretend, it is clearly 'against' violence.) But most importantly its creators have repeated many times that it is not an antisemitic work- as have any number of critics. "Peter Gelb has recently begun stating “opera is dying,” and that we must therefore cut labor costs. 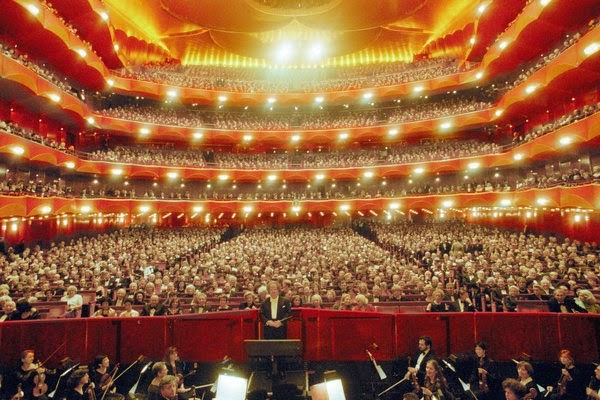 However, the Met’s box office numbers reveal a striking and contradictory story"
“The Metropolitan Opera Orchestra rejects Metropolitan Opera General Manager Peter Gelb's arguments that the Met's recent financial troubles are the result of high labor costs. We believe that the Met's financial problems are the direct result of a management which seems unable to accept that its current business model is failing, and unwilling to adapt to evidence that its current spending policies are irresponsible and unsustainable. During the Gelb years, the Met's operating budget has increased by nearly 50 percent (over $105 million), and these new expenses have obviously not resulted in commensurate increases in revenue. With regard to the Met's stagnant box office, we also wholly reject Mr. Gelb's often cited excuse that opera is a "dinosaur” and that its audience is dying and destined to further dwindle. We believe instead that the reason the Met's box office has stagnated in spite of the huge sums spent on marketing and new productions is that Peter Gelb's artistic choices have been badly received by both reviewers and audiences alike, which the attached report documents using box office data provided by the Met. Even if after an objective analysis the Met can be said to be facing some degree of financial challenge (in large part due to Gelb's lavish overspending on unpopular productions) we know what the solution isn’t. It isn’t slashing the compensation of the musicians and the chorus. If this happens, it will be impossible for the Met to recruit and retain the best musicians in the world, who, along with the chorus and other skilled labor comprising the company, are essential to maintaining its artistic excellence. We believe that the Met is suffering from a crisis of management, both financial and artistic, whose guiding vision is limited by a fundamental belief that opera, the Met's only real product, is increasingly irrelevant in today's world. Peter Gelb’s explanation for the slight downward trend of the box office has been to blame the art form, blame the audience (for dying! ), and blame young children for their short attention spans. Denigrating his own product, he claimed “Grand opera is in itself a kind of a dinosaur of an art form.” But General Managers around the world are disagreeing with Gelb, and their box offices prove it. To date, the most expensive production in the history of the Met has been the LePage/Gelb Ring Cycle. There have been contradictory quotes in the press as to the cost of the Ring Cycle: the New York Times listed it as $16 million, whereas the Wall Street Journal cited it as $19.6 million. Despite the cost and overwhelmingly negative reviews, Gelb said, “I have to stand by the Ring…the audience came out for it. The only way you measure success is if people go to it.” However, more than any other Peter Gelb New Production, the audience most decidedly did not come back for it: in aggregate, the LePage/Gelb premieres did worse than the previous Schenk revivals. Worse, the Gelb Revivals declined steeply and dramatically: the most severe numbers are for Gotterdammerung, which premiered at only 88% and dropped to 67% the very next year. Beyond Gelb’s dubious financial stewardship, this speaks directly to his artistic credibility: the Ring was his signature production initiative, and the numbers show it was an artistic disaster. A few days ago, our deputy editor interviewed Charles M. Goldstein, President and Artistic Director of the "controversial" Hartford Wagner Festival. Sadly, since that time, the festival has been postponed for at least a year. According to a statement released by the festival, this was due to a series of, "vicious and coordinated attacks on the Hartford Wagner Festival by the American Federation of Musicians (AFM) which have forced the resignations of our Music Director and two of our performers with threats of loss of future work." (The full press release can be found at the end of this brief interview). Despite this, we feel that our chat with Charles Goldstein is still valuable and worthy of your attention. We shall seek an update from Mr Goldstein shortly. We have also been in contact with members of the AFM and other "protesting groups" but still await a response. Could you tell us a little about yourself. Well, I grew up in Baltimore and started my musical training at Peabody at age 5 with piano, then added theory and ear training. I continued through HS at Peabody while adding voice lessons as well. From there I went to college in Virginia and earned a BA in Music. I then returned to Baltimore and did the Peabody Graduate program in Opera Performance and also conducting. After this, I went onto attend the Aspen Festival in 1974 and was cast in the world premiere of Thomas Pasatieri’s “The Penitentes.” Moving to NYC in 1979 I was accepted to the American Opera Center at Juilliard (with Greer Grimsley by the way) and was there for two years. I then went on to sing for David Stivender and was hired as Met Extra Chorus doing mostly Wagner there with some Verdi, Stravinsky and Britten thrown in. I'd like to add I always a lover of Wagner since I first heard Meistersinger in 1968. Tell us a little about the Hartford Wagner Festival. Das Rheingold" has been postponed until next year due to the vicious and coordinated attacks on the Hartford Wagner Festival by the American Federation of Musicians (AFM) which have forced the resignations of our Music Director and two of our performers with threats of loss of future work. I found the perfect small theater for the Festival right near where I live. The Roberts Theater was beautifully designed with a great stage and fly space, a hydraulic pit, modern lighting control, good dressing rooms and an excellent shop. The theater seated about 600 and I thought it was just the right size for the project. Here was the right place at the right time for me to move my project into reality. I wanted to do a smaller production of “Rheingold” which would put the emphasis back on the characters rather than on huge stage machinery which draws attention away from the story. It also would provide younger singers the chance to try these roles in a smaller house, like they do in Europe, before auditioning for the Met, Bayreuth etc. I have always supported the efforts of young professional singers anywhere I could, having been through that process myself. Why Wagner and why the Ring? I conceived this plan in 2005 when I started using the VSL sounds in my home studio. I realized that the D.O. concept really does not work for the standard repertoire because of too many liberties taken by the singers and also it doesn't work well with recitatives. 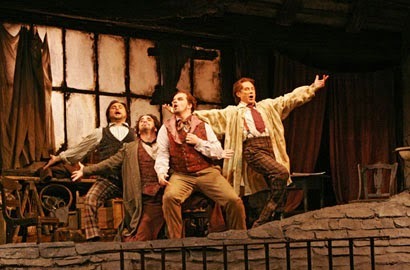 I had already entered Boheme, Butterfly, Traviata, Cav/Pag, Schicchi, Tabarro, Hansel (although Hansel was actually okay to do since I used an early synthesized version to do a school production in 2001), Tosca and found the results to be unworkable. I then decided that Wagner was really the best composer to use for this project as his scores basically “begin, continue and end.” There is not a lot of a two-way street in the Ring as the conductor basically controls the entire performance. If you could only ask that question to Solti, Szell, Furtwangler, E. Kleiber etc.! I used my collection of reference recordings of both live and studio versions to set the performance at the tempos I found to be most dramatically correct for the performance I wanted. Just as would happen in a regular rehearsal, I asked my singers for any suggestions they might have for their parts for me to evaluate for inclusion in my final version for this season. I hired a Music Director for the Festival, Paul Polivnick, and then turned over the musical creativity to him so that the performance would show his concept for “Rheingold.” Unfortunately, the attack on him by the AFM and the threats he received telling him he would be blackballed forced him to resign, so I continued and finished the work on the score myself. Why did you decide to use a digital Orchestra rather than a “real” one? I have said this many times and people just seem to think it is only about the money. There was never any intention of using anything other than the digital orchestra that I had created. After all the years of entering notes and editing instrument sounds by the thousands it was time to bring out the project and put it in a theater. Just ask my wife and friends who had to pry me out of my studio and be sociable and have a glass of wine with them! If people think it is just about not having to pay for a live orchestra they are totally wrong. I had a discussion with Mr. Messina of the AFM early into the HWF project and told him that we supported the Hartford Symphony unconditionally and would gladly put any events his players were involved in on our website to help promote them, but I never received even one item from him. What are the main benefits to you of using this technology? And are there any drawbacks? The obvious benefit of the technology is the ability to control every nuance of every note played. In a recent interview with Paul Henry Smith he talked about the problem he had encountered with crescendos and yet I have not found this to be a problem using volume automation in Logic Studio. Granted Mr. Smith is one of the leading experts in the field and maybe I misinterpreted his point, but I would welcome the opportunity to talk with him as he has apparently worked on a method of “conducting” a performance using a controller in place of a baton. And that is the main drawback of the technology I use. There is no way in performance to control the tempo which is why the collaboration between the conductor and singers beforehand is so important. Going back to the, highly coordinated, reaction against your production, what are your feelings about this and how would you answer your critics? First and foremost is the fact that everyone is entitled to their opinion, as long as it is respectfully stated. I was totally surprised at the number of vulgar and obscene comments I received from people that hid behind false email addresses. My first thought to all the people that commented negatively is how can you tell if it is good or bad if you have not heard it? Yes, I did post a short clip on a Kickstarter page of a rehearsal which was probably a mistake as it was intended only to show work in progress. It did not, and could not, represent how the digital orchestra actually sounds in the theater! The only people that have actually heard the full D.O. are my sound technician and myself and a few people that hung around after that rehearsal. The purists that have attacked me have the ultimate power to comment by not attending. But they should let those that do want to attend make up their own minds. I am grateful to the many people that have kept an open mind and said that while they might not agree with what I am trying to do, that they will reserve their judgment until they experience the performance. I am also very grateful to some very enthusiastic supporters who have expressed their opinions online in a decent conversational manner. I also find that there is a continuing thread of commentary in many of the statements along the lines of “singers are not musicians.” That is very disconcerting to me as I have heard that comment from instrumentalists all the way back to when I first moved to NY in 1979. Has this reaction had any impact on the festival and you personally? Well, of course one does not like to have their work attacked by a seemingly coordinated mob of AFM members, but really I’m more interested in the end result than spending my time reading all the negative opinions. I still have a lot of work to do readying the D.O. and coordinating the production with our Stage Director, Jonathon Field. 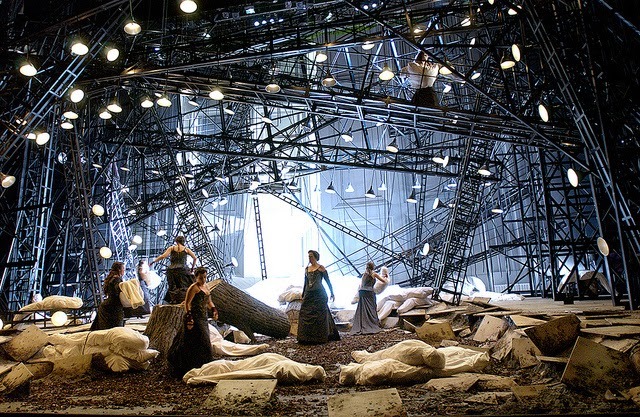 It is with great sadness that we must announce that the 2014 production of "Das Rheingold" has been postponed until next year due to the vicious and coordinated attacks on the Hartford Wagner Festival by the American Federation of Musicians (AFM) which have forced the resignations of our Music Director and two of our performers with threats of loss of future work. We continue to support all our local musicians as we have stated from the beginnings of our project and we hope that our patrons will continue to support them as well. 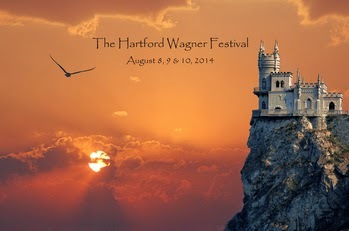 The Hartford Wagner Festival, Inc.
Time above is BST. 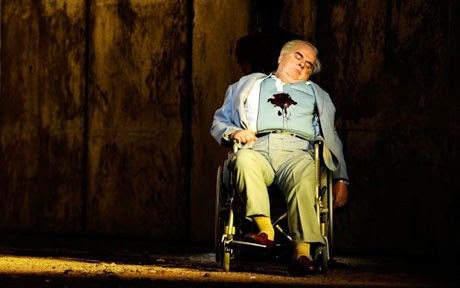 You can watch it either at Glyndebourne's Website by CLICKING HERE or at the Telegraph by CLICKING HERE. Television shares with cinema the possibility of presenting an opera in any location, but, more often than not, it relies on filming a live performance in the opera house. It is not necessarily for economic reasons that it does so; it is also because the reproduction of a live performance perpetuates the immediacy the spectator, now sitting in his comfortable chair at home, would have experienced in the theater at the time of the première. 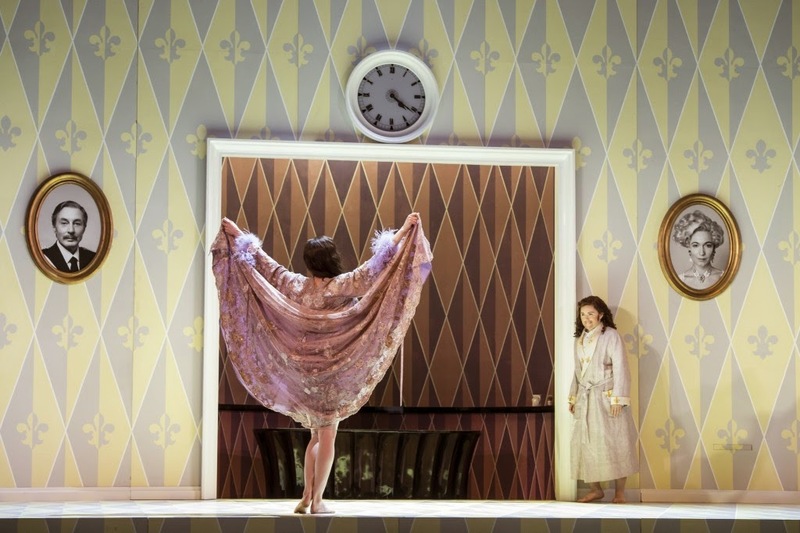 While invested with the power to objectify the action onstage, the camera compensates for the monotony of a fixed point of view by means of a pluralistic reading, as though the spectator could sit simultaneously at several points in the theater and zoom in on various details of the scene through a virtual opera glass. The viewer becomes a hyper-spectator because the camera endows him with the power of embracing the totality of the representation. Is this god-like condition an enhancement of the visual faculties one has in the opera house? If the medium were an interactive one, letting the spectator trace his or her own visual path, the answer would likely be positive. However, television (and film) offers a "predigested" selection of focal points from which the action is recorded and interpreted. 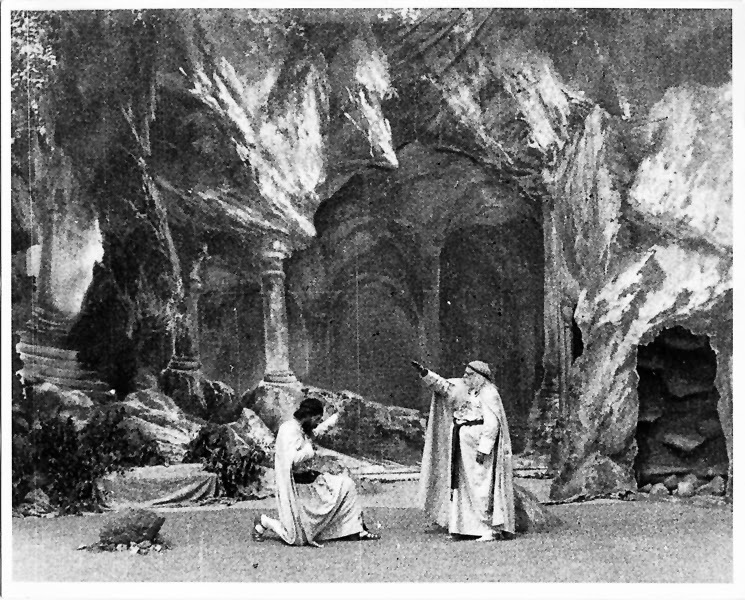 Strangely, this makes Edison’s way of filming the opera (Parsifal, 1904) the most faithful to actual production in a theater and thus more closely allied to Wagner’s original concept of the Gesamtkunstwerk. his idea of the Gesamtkunstwerk? The Queen City Chamber Opera and the Wagner Society of Cincinnati recently collaborated to present a fully staged Walküre, act 1 using the Abbass reduced orchestration (5 horns, 2 trumpets, 3 trombones, tuba, harp, timpani, 8 winds and normal strings. They have very kindly made this available freely. Recommended. "This project of presenting "Das Rheingold" was originally conceived to use a digital orchestra and was never intended to use a live orchestra. There was never an opportunity for instrumentalists to be involved in the first place and consequently there is no loss of work for them. The project was solely designed to employ and test the use of a digital orchestra in a performance situation as the state of the art of sampled instruments has progressed immensely in recent years. The project was also designed to give American singers the ability to try our these roles in a smaller theater and add them to their resumes which would allow them the opportunity to perform the roles in larger houses here and abroad. Our Deputy Editor (Fred Oswald) moans, in response to some readers, and threatens to take his ball home, while our editor in chief hides under a desk refusing to leave the office. You have been warned, at least about the moaning. Two days ago we ran an article about Hartford Wagner Festival's project to mount a full scale Ring cycle replacing a live orchestra with a "digital orchestra". Now, I have to admit, we have run a number of articles over the years that have generated an "energetic" response but surely none as much as this. In the space of two days we have been told, repeatedly, that we are "bad Wagnerians", that we are " irresponsible", that we need to be "put straight", have things "spelled out" (sic) for us, that in Wagner "the orchestra is most important part of the experience" (sic) [Ed: Oh dear that sounds like another call for abominations with names like "Wagner without words"], that we are "incredibly sad (for having chosen to use) a digital orchestra for this production" (I didn't think we had. Is our editor moonlighting again) [Ed: If only I had the time. If only I had the time] that our "support for this project [Ed: We have supported it?] is "bad for society" and at least one "death threat" [Ed: I hope that was aimed at you. Remember protect your leader at all costs. I have a terrible aversion to pain don't forget. 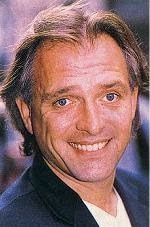 Anyone need Fred's full postal address?]. Pianist Jeffrey Swann offers his prized lecture-demonstrations at the piano. Known from previous Wildnis weekends, his concert performances for the Wagner Society of Washington, DC, his talk for the Smithsonian's Tristan und Isolde seminar in 2004, and his lectures at Bayreuth. Professor Simon Williams, Chairman, Drama Department, University of California at Santa Barbara, presents his insightful lectures on Wagner and drama. His latest books: Wagner and the Romantic Hero, now in paperback, and A History of German Theatre. "I have been developing the Digital Orchestra now for about 15 years and it is now “ready for prime time” as they say. My digital instruments come from the Vienna Symphonic Library and are basically from the players of the Vienna Philharmonic and other Viennese orchestras. The project begins with Sibelius Notation program in which I entered, by hand, all 137,000 measures of “Das Rheingold” note by note. Then the program was sent to Apple’s Logic Studio where the instruments are applied and editing begins for dynamics and tempos. The output of the program is fed to 22 Sound Point Source speakers with subwoofers which are placed in the same positions as the instruments in the Met Opera’s pit. Each speaker is aligned to produce its sound in the same direction as the sound would eminate from the instrument it represents. For instance, violins upward, French horns backward, tuba upward, double basses and cellos forward etc. The result uses the reverberation of the theater just like a regular orchestra. The conductor is still in his/her regular spot and has a video monitor showing the score moving and cues the singers as usual and holds the production together. The resulting sound is amazing and the singers had no trouble at all following the stick (during test rehearsals) The result is the ability to produce a “Ring” cycle at a fraction of the cost with a full live orchestra." To provide an example of what you might expect, the company kindly provided a video clip of early rehearsals. Although this does not feature all of the now announced cast. This can be found below. Press release and details below. 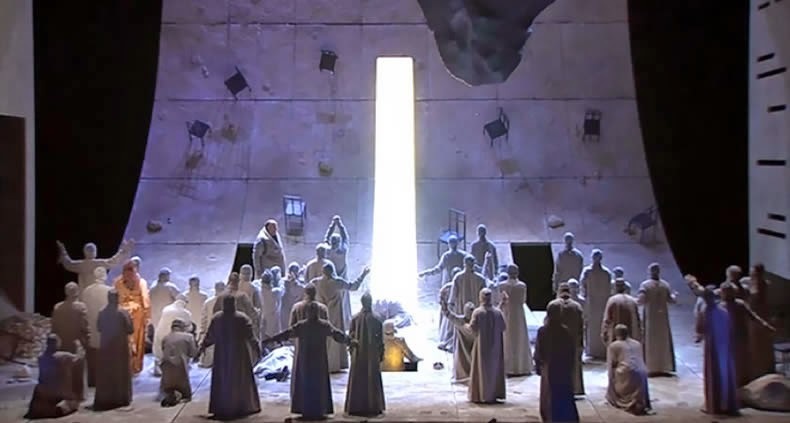 The Hartford Wagner Festival, Inc. is pleased to announce its inaugural season of presenting Richard Wagner’s monumental “Der Ring des Nibelungen” with their new production of “Das Rheingold” on August 8, 9 & 10, 2014 at the Roberts Theater of the Kingswood Oxford School in West Hartford, Connecticut. Utilizing a state-of-the-art Digital Orchestra, “Das Rheingold” will be the first production of the “Ring” of the new opera company. Following each year, the Hartford Wagner Festival will add the next installment of the “Ring” cycle until in 2017 they will begin presenting two complete “Ring” cycles each year. Employing the talents of the Digital Orchestra’s creator, Charles M. Goldstein, the Hartford Wagner Festival has hired Jonathon Field, Head of the Opera Department at Oberlin College and a noted “Ring” Stage Director, to produce an entirely new multi-media production of the “Ring” for HWF. Eight artists from the Metropolitan Opera have been engaged to sing as well as giving young artists the opportunity to perform in some of the smaller roles. Michael Chioldi, noted Metropolitan Opera Baritone, will make his first foray into Wagner as Wotan in “Das Rheingold.” Robert Brubaker will sing the role of Mime which he has sung for the Met. Sondra Kelly, also a Met alumnus, sings the role of Fricka and Adam Herskowitz (another Met artist) will sing Froh. 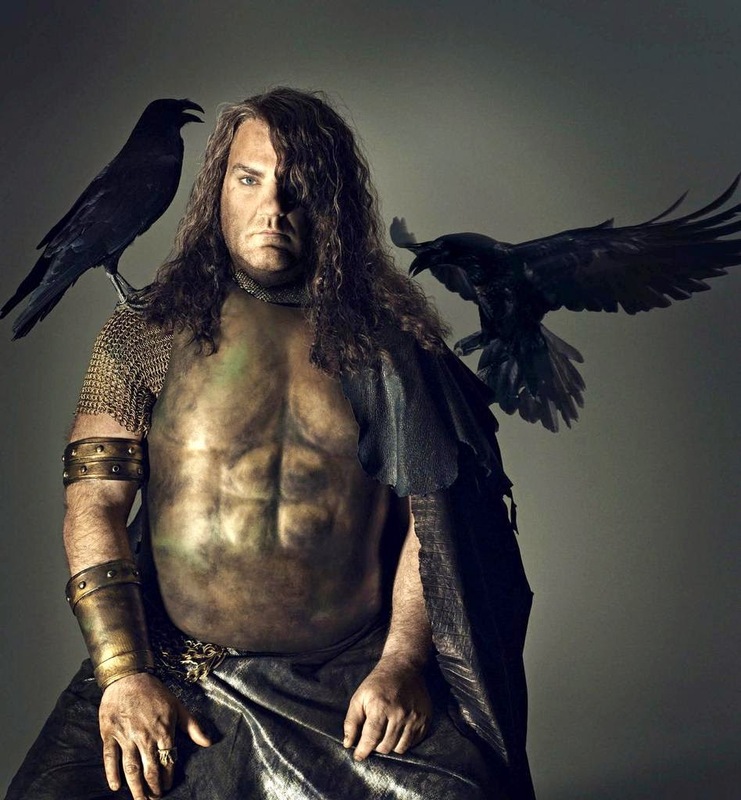 Alberich will be sung by Met artist Philip Cokorinos and Cindy Sadler will perform as Erda. Joel Sorenson reprises his Met role of Loge. Newcomers Jeremy Milner (also a Met Artist) and Matthew Anchel sing Fasolt and Fafner with Met artist Ross Crolius as the second cast Fafner. Resident Artist’s Sydney Anderson, Caitlin Mathes and Ema Mitrovic’ will be the Rhinemaidens. 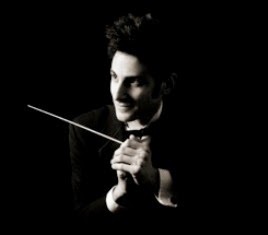 Conducting will be Charles M. Goldstein. Taken from one of the many extras on the DVD release of the fantastic 1991/2 Kupfer Ring, from Bayreuth. 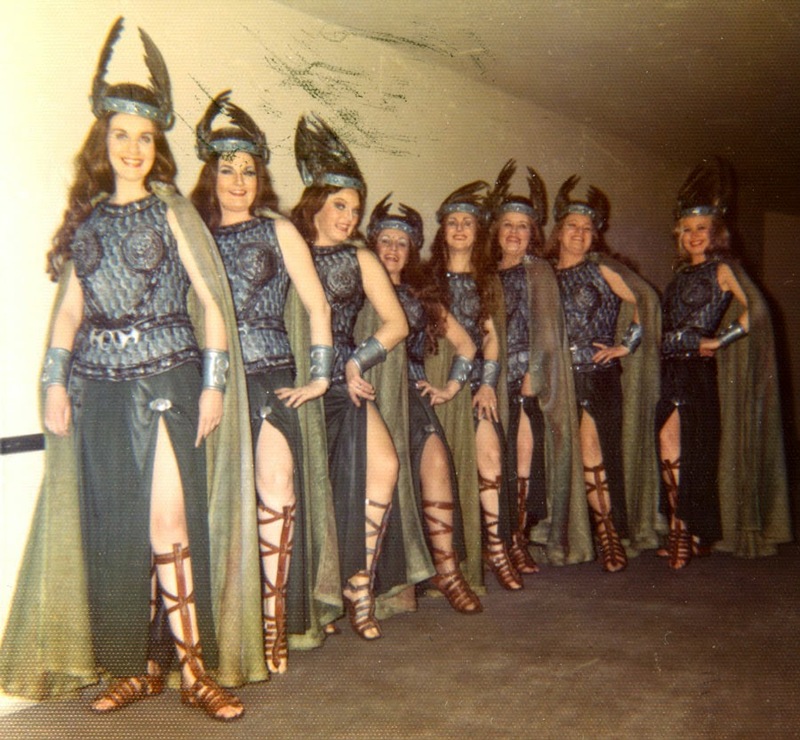 A History of Ring Cycle productions. Or: Whatever Became of the Breastplates? Bloggers to keep an eye on. Porgs in The Millenium FAlcon... - Tha MF has become a nest. She's becoming the Holy Mother.